We have a well-developed all the in-house storage facility, laced with all the modern facilities. Also, we have hired a team of professionals who efficiently manage and maintain it. The reason we are capable of delivering the best in class range of products is that of the stern checking on the raw material while sourcing. By this, we bring forth quality products. 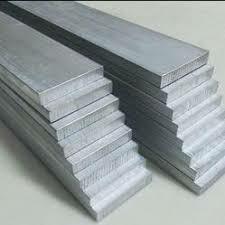 These Aluminium Flats have a smooth and polished surface and are available in a quality packaging.